It is probably true to say that every first time visitor to the Kruger wants to see a lion. No doubt Leo is the King of the African Big 5 and the most often sought. Well the Kruger National Park or KNP does not disappoint in this area either with many lions being seen every day in most regions or sections of the park as you can see from the map. Each small green dot represents a single Lion sighting. It does not take into account how many Lions were seen a that point in time only that a sighting was made. Refer to the table below to see more detail on the actual numbers sighted. 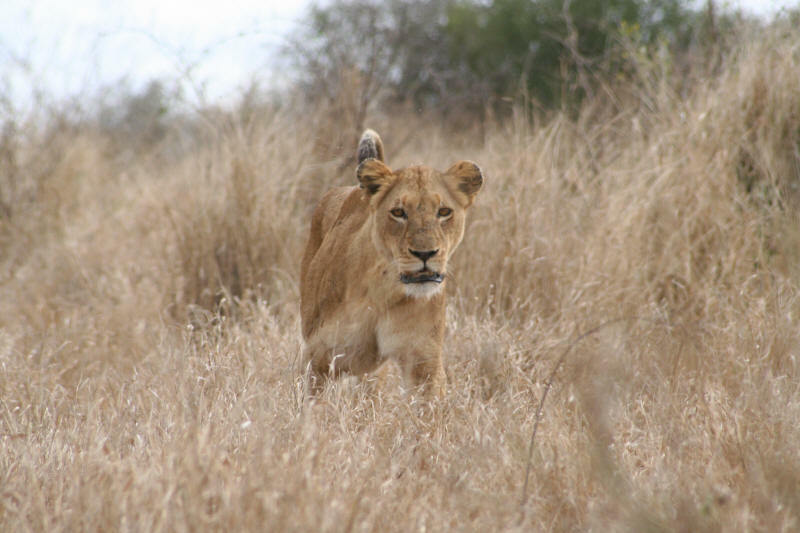 Lion normally move prides of females with cubs and 1 or 2 males in attendance for protection. Where there are dense clusters of Lion sighting dots on the map suggests this would be a prime area for spotting the Lion (they tend to "follow" their prey and buffalo is a prime target. 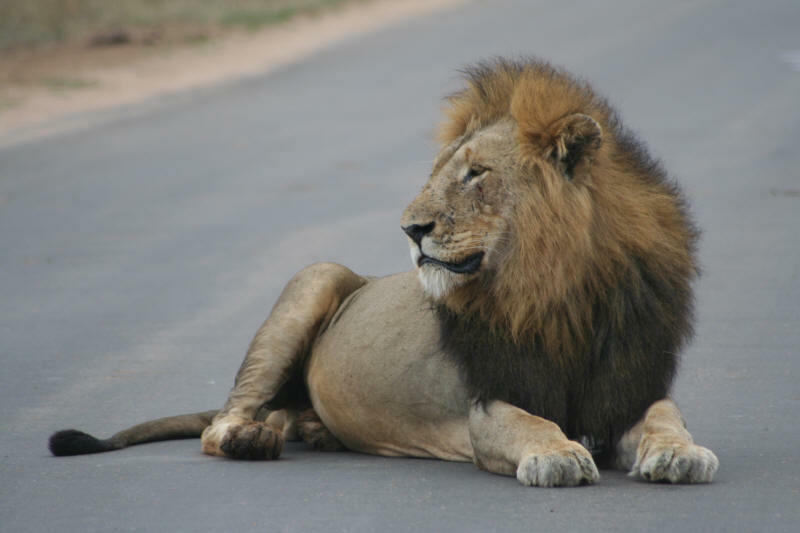 The Lion can be seen over most of the Kruger and is frequently seen. Lions tend to hunt at night and laze around during the daytime.